Capacity at Ashton Gate is now an impressive 27,000 after the completion of all recent building work. Two stands have been completely rebuilt whilst the Dolman Stand has been renovated. The new Lansdown Stand on the west side of the stadium is the biggest of all now and is a very striking size. The stadium is not completely pillar free meaning there are no restricted views throughout Ashton Gate. The only stand left untouched in recent building work was the Ateyo Stand. However, it's still a very reasonable build and all stands have ample legroom with very good facilities. Visiting supporters are housed at one end of the Atyeo stand. Views are unrestricted and as a result you should have superb views of the plating surface from all areas. Unless the away section is large/sold out, a 'sit anywhere' policy is generally in play. Therefore I advise arriving at the ground early enough to pick your seats. Away fans are advised to steer clear of the Hen & Chicken and BS3 Bar which are in the immediate vicinity of the ground and instead head to the north of the ground and over the Plimsoll bridge over the River Avon. In between the various stretches of water there are a couple of really nice pubs which welcome away fans and are only within 10 minutes walk of the away turnstiles. On the very far side of the bridge is the Pumphouse and the Rose of Denmark. The Pumphouse is a rather nice pub which overlooks the harbour and has a pleasant outdoor seating area. As an alternative, try the Nova Scotia. Bedminster Cricket Club (BS3 2EJ) is the designated car park for the stadium on match days and is priced at £5 per car and is approximately 10-15 minutes walk from the stadium. However, there is plenty of street parking available if you arrive early enough to claim a space. The nearest / closest train station to Bristol City's Ashton Gate Stadium is Bristol Temple Meads mainline station which is well served by trains from London and the South, but also with regular connections from the North and Midlands. The station is just over two miles from the ground, so walking isn't advised! The city centre is to the northeast of the station – up Victoria Street and across Bristol Bridge. The easiest way is to get up to the ground by bus. Service ‘A’ buses pick up an hour before kick off costing a flat rate £1 from Temple Meads station and then from several other stops along the way finally picking up at Hotwells Road before dropping off at the ground. Buses make the return journey after the game from Ashton Road, (behind the Atyeo Stand) by the Greville Smyth Park. Travel: Had been advised that parking near the ground is a bit thin on the ground, especially street parking, so parked at Bedminster Cricket Club down the road for a fiver. Wasn't bad really, and was pretty quick getting out, and still managed to get in there even getting there quite late. Refreshments: As I was late, I never really got to have much of a look around the ground. The cricket club I parked at did allow in away fans though, so that will always be a plus, and inside the ground, it seems southerners have finally learned how to make decent pies! City’'s steak and ale pie comes very highly recommended! Impressions: Fantastic ground, four very different stands with a decent balance to it. The Dollman and Atyeo Stands are big in size and with good views all around, while the older Williams and Wedlock Stands liven it up. Away fans currently share the Wedlock Stand (popularly known as the East End) with home fans, so instead of having the whole lot, they are tucked away in the corner. With all those pillars at the front of the stand, I can't imagine the facilities in the away end are quite as good as in the Atyeo! Atmosphere: Pretty poor to be honest. The City fans in the East End seemed to be the most vocal, but even then it wasn't much. The banter from the Atyeo at Brighton’s keeper Kuszczak was great fun, after he made a big deal out of holding his nose after catching a high ball, the Atyeo gave a very unsympathetic ‘aaaaww’ every time he touched his face for the rest of the game, and he started doing it on purpose then and even clapped the Atyeo at the end, so a sense of humour in the atmosphere at least! Anything Else: Surrounded by alleyways and underpasses, I imagine this place was a pretty nasty place to go back in the hooligan days! Enjoy: Lovely ground, even I can't speak of it's value as a day out as a whole due to lateness, but a very good and interesting ground I wouldnt mind going back to. Travel: I woke up early, as I was getting the supporters coach. It was a comfortable journey to Bristol, a peaceful area, alongside a 45 minute stop we were in Bristol for 1 o'clock. Refreshments: Bristol is an area with not many pubs and as we didn't have much time, I made my way into the ground, bought an expensive only 20 page programme and sat down to watch the ' Magic of the cup' I also bought a burger which I threw away as it is extremely unimpressive and your order is never correct. Impressions: The stadium is one of the best i've visited as a Dagger, with incredible atmosphere and banter.Though Home fans are right next to visiting supporters so it's not pleasent - especially if you lose 3-0 like we did!!! 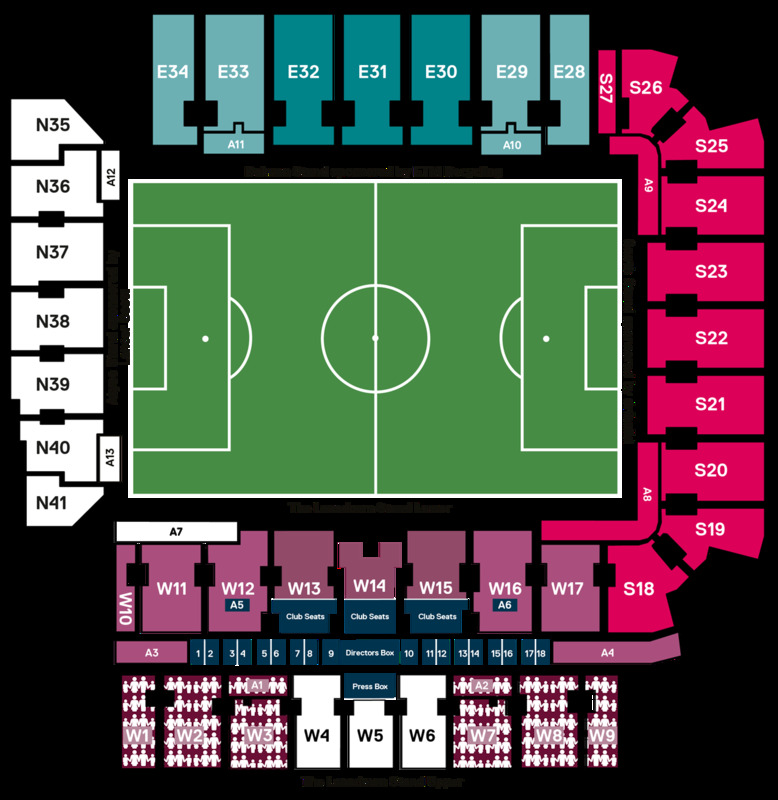 Facilities: The seats unusually have no top, so it's quite confusing and they are well spaced out so, as well as seeing your team get smashed, at least you can do it whilst relaxing! Exit: If you are using a coach it's easy to get out and just take your place. However you cannot depart until every fan has passed which is quite frustrating. Enjoy: Despite losing 3-0, the journey and game was memorable and I recommend others visit for a special day. 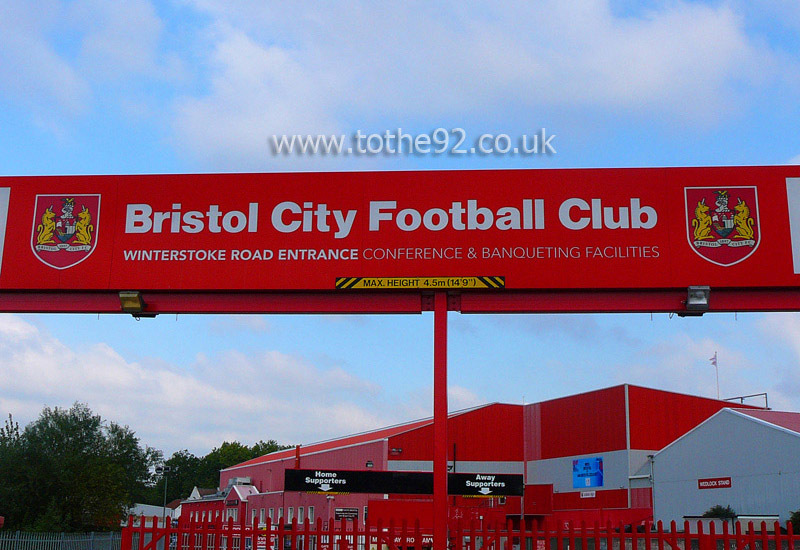 Have you been to Bristol City's Ashton Gate? To tell us about your experiences and to feature on the site, simply complete the fans review form below!